* Total number of reviews and star-ratings are based on data collected during the time period Precision Plumbing - Las Vegas has been using the ReviewBuzz system and may not directly match the data found on each public review site. I found worms coming out of my kitchen faucet in Pahrump NV and I have city water supplied by Great Basin Water. And no one in Pahrump would help me. Precison Plumbing sent Aaron to Pahrump from Las Vegas and not only did he verify that I had no leaks, no backflow and no cross contamination issues. He flushed and sanitized my pipes. I still cant trust that the water is safe, but I know my pipes are clean and I did not contaminate my own water. Thank you Aaron and Cindy and everybody at Precisin Plumbing. The estimate cost was way too much for a part that cost less than $5. The labor and part cost was $249!!!! Ridiculous for a part that I got for $1.97 at Lowe’s!!! The next plumber that I called was from Anytime and he told me how I could fix it myself, so I did! I would not recommend your business because of overcharging!! Frank was the most courteous, sincere, hard working tradesman I have had at our home in a very long time. I have already recommended him to friends and neighbors...great job! James arrived prior to his appointment time, which was very helpful as we had water flooding our backyard. Problem wasn't diagnosed correctly the first time, but was resolved quickly on the next visit. 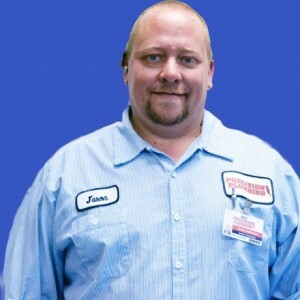 Overall, we were very happy with the friendliness of the operator and with James' service. We have been customers for over a year and find the warranty extremely useful. We will only use Precision Plumbing for all of our plumbing needs. This is a great company with knowledgeable technicians and staff. Second time using precision plumbing. Great service as always. Very fast, same day! 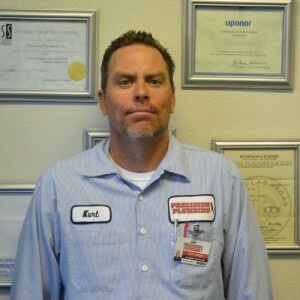 Kurt was the technician and he was awesome at repairing a water leak in our garage. I called Precision Plumbing and told them I was looking for a good plumber. Jason came out and gave me a free estimate. He was courteous, helpful and fun to talk to. The estimate was very fair, and much lower than another estimate we had received. We feel very fortunate to have found someone we can trust and count on. 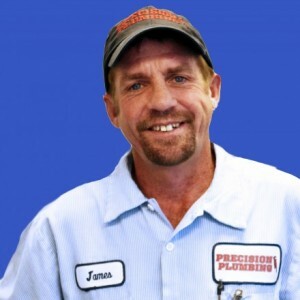 James was extremely professional and knowledgeable. He was precise and accurate with his evaluation. There should be more technicians like him in Vegas Valley. We had a great experience with Precision Plumbing. Chris R. was prompt, courteous, professional, knowledgeable and took the time to explain and answer all our questions. He completed the job to our satisfaction and we would highly recommend Chris and Precision Plumbing for all your plumbing needs. He got the job done in a timely manner and cleaned up the area after he was finished. We had a great experience with Precision Plumbing. Chris Reynolds was prompt, courteous, professional, knowledgeable and took the time to explain and answer all our questions. He finished the job quickly and to our satisfaction. We would highly recommend Precision Plumbing for all your plumbing needs! We had a clogged toilet that wouldn't unclog. It was on a Saturday afternoon and we weren't sure if we were going to have to wait until Monday. Fortunately we looked on the internet and found Precision Plumbing that mentioned being available 24/7. I called and Kylie answered and asked what our problem was and said she would call one of their Plumbing Technician to get in touch with us. She was very thorough. We received a call from Chris and said he was on his way. That was a very fast response. He arrived within 15 minutes. We thought we would have to replace the toilet. Chris said he would check out the problem and he did and found the solution.and fixed the clog. He also went outside to make sure there wasn't a clog there. 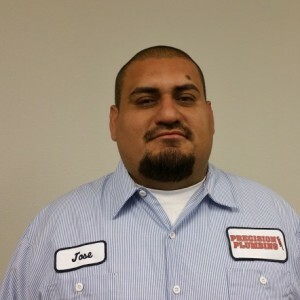 The water was flowing and everything was fixed.He was very thorough and knowledgeable and had a great personality. He was great.This is a company I will use in the future and recommend them to my family and friends. Very pleased. I have used several plumbing companies in the past 20 years. (Never completely satisfied). I needed the water main piping replaced, so I called a few places and left messages for them to call me. Never got call backs. I called Precision, and a friendly lady answered, got all my info, scheduled an appointment and was right on time. The Tech Chris was a very pleasant person to talk to. he was very reasonable in the pricing. Chris did the job on a rainy day without complaining. I was impressed. I also met Aaron. another pleasant person to meet. if there were 10 stars to give to this company, I would give them a 10. DON'T WASTE YOUR TIME OR MONEY WITH OTHER COMPANIES. Thanks Chris for making and old man happy. Andrew was very great and informative. Great guy! Frank R came and was very pleasant but more importantly, very knowledgeable. He has great personality and he gives the impression that he loves what he does. When we remodel our master bath, he’s the one I’m going to request. Chris was very nice and courteous! He did a great job installing my new faucet. 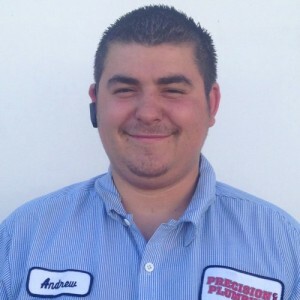 Andrew was awesome, idenfied the problem quickly and since I’m a repeat customer (Precision also did a great job replacing my water heater) he did not charge a thing. With company on the way it’s nice to know I can rely on Precision to show up at a moments notice. Will never use anyone else...Thanks Andrew! 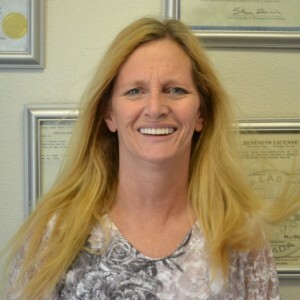 Customer service is always a top priority at Precision Plumbing - Las Vegas. Our BBB Membership A rating is like a badge of honor as we continuously strive to provide the best experience for our clients. Andrew H has a 5-Star rating and leads the company in total reviews, making this pro a ReviewBuzz Rockstar! Andrew and his partner did a great job with helping us with our plumbing issue. Will definitely call them again if needed. Andrew was efficient and friendly. He did an excellent job installing three toilets, including carrying two up and down our stairs on his own. He returned a second day when needed, and hauled away all trash, boxes, and old equipment. Andrew is an excellent plumber. He is very knowledgable and explains everything he does. I will not use any other plumbing company. Thanks precision!! Very helpful and professional. Would recommend for your plumbing repairs. Andrew H. is my Superman Plumber! He's very mild manner, and gets the job done. Love this company. I would highly recommend them. Andrew is THE MAN. He saw us through every step of our water heater catastrophy. He was friendly, knowledgeable, and made a painful experience as simple and straight-forward as he could. Give that man a raise! Andrew is always very accommodating and helpful. Still working to relace wayer main. From starting with the phone call, to getting a plumber out quickly and to solving the problem, everything was handled in a professional manner. Fantastic job. The service was great and exceeded my expectations. Andrew was great! Very efficient, professional and answered all our question/concerns without hesitation. Precision will be our go to plumbing company from this point forward, very impressed and satisfied. Very professional company. I will always use them. Andrew is very professional and polite. From now on he will be my first choice for all my plumbing issues.